I defended my thesis in June 2006. 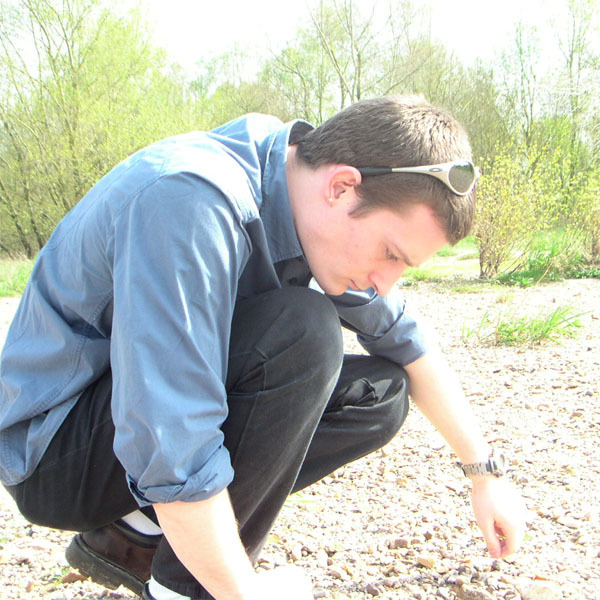 The subject was on reproductive strategies of an ant that lives along the Loire River: Cardiocondyla elegans. This work was under the direction of both Alain Lenoir and Jean-Luc Mercier from l'IRBI at the University of Tours. This work was financed by a doctorate fellowship from the Region Centre followed by a Teaching Assistant position in Behavioural Ecology always at the University of Tours (2005-2006). The first half of this year, I was a Teachinf Assistant at the University of Sheffield. I taught Conflicts and Organisation of social Insects and Animal Behaviour. My research taken place in the Pr. Francis Ratnieks's team. I studied dynamic of foraging trails in Pharaoh's ants (Monomorium pharaonis). I spent some times as a free researcher, housed by the "Laboratoire Fonctionnement et Évolution des Systèmes Écologiques UMR 7625", at the "Université Pierre et Marie Curie", in the team " Évolution des sociétés animales", then I has had a 7 months postdoc in the team " Biologie et Protection de l'Abeille" headed by Yves Le Conte in the research center INRA d'Avignon. There I studied the dynamic of forager pheromon on honeybee nurses. Currently, I am a postdoc at the "Laboratoire d'Ethologie Experimentale et Comparée" of Paris-Nord 13 University in collaboration with Chatal Poteaux. I am studying Mexican population genetics of the ant Ectatomma ruidum.